IE Business School has been placed 12th business school in the world in the ranking of Executive MBA programs published by the Financial Times on Monday. This result consolidates IE Business School’s international position, following 2nd place in the Financial Times Online MBA ranking (March 2018) and 3rd in Europe in the Financial Times European Schools Ranking (December 2017). The Financial Times ranking looked at IE Business School’s Global Executive MBA, a program designed for senior executives with an international profile. The 15-month program combines periods of online training and classroom studies in Madrid, Singapore, Los Angeles and Sao Paulo. 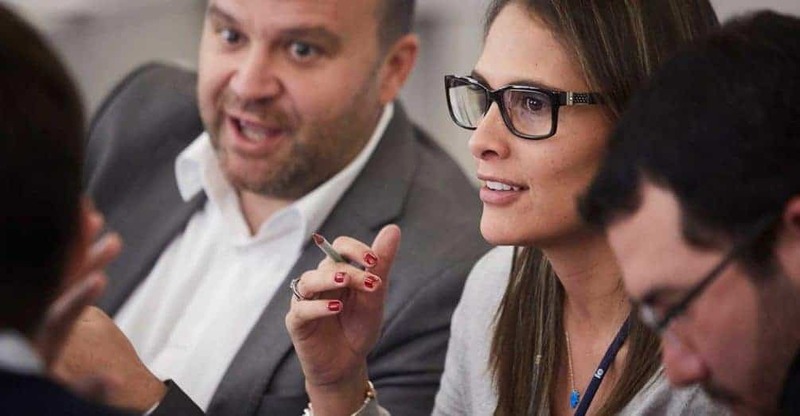 The Global Executive MBA is focused on management and team leadership to help executives deal with the challenges of globalization and digital transformation. IE Business School teaches the Global Executive MBA together with academic institutions such as Insper (Brazil), UCLA (USA) and Singapore Management University (Singapore). Some 90% of students this year are non-Spanish, with 17 years of average professional experience and who combine the program with their positions as senior executives at multinational corporations. “The Global Executive MBA aims to train executives to manage global businesses. To do this, we promote diversity of nationalities, profiles, backgrounds and sectors among students and teachers, thus optimizing the learning experience. Students work in a virtual environment during the program and also meet in the United States, Brazil, Singapore and Spain to learn about different business ecosystems and to develop leadership competencies and management of multinational teams,” says Ignacio Gafo, Vice Dean of Global & Executive MBA Programs at IE Business School. For this year’s edition, the Financial Times has evaluated Executive MBA program quality indicators such as participants’ degree of satisfaction, their career path, salary increase in the years after graduation, faculty and student diversity, the program’s international projection, expectation fulfillment and the amount of research carried out by business schools. IE Business School has a broad portfolio of Executive MBA programs in classroom and blended format, in Spanish and English. Among them, in addition to the Global Executive MBA, IE Business School teaches the IE Brown Executive MBA along with Brown University, an Ivy League institution recognized for its excellence in humanities and the social and scientific disciplines. The program combines online and classroom education at IE Business School’s Madrid campus, the Brown campus in Providence, Rhode Island, and in Cape Town (South Africa).